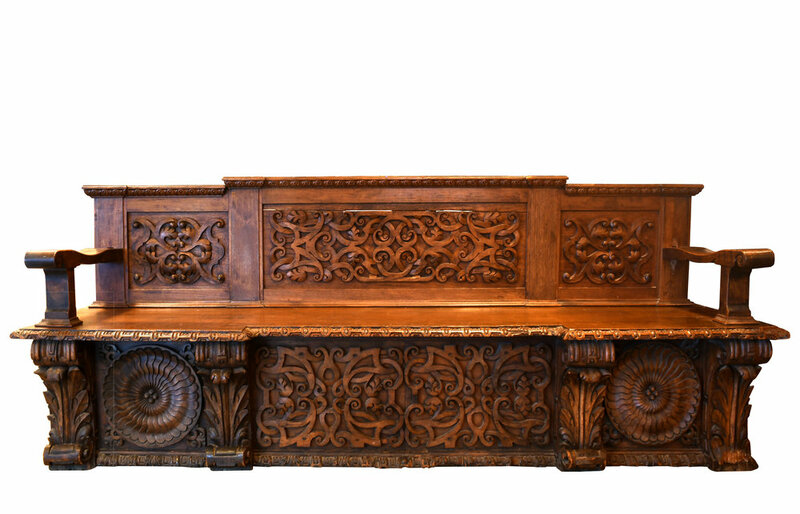 It's up for debate whether this extraordinary 19th century wood bench is Italian or French in origin, but indisputable is the beauty and artistry of the highly detailed carvings. Throughout, curving scrolls are woven together and peppered with stylized oak leaves, incredible in their symmetry. 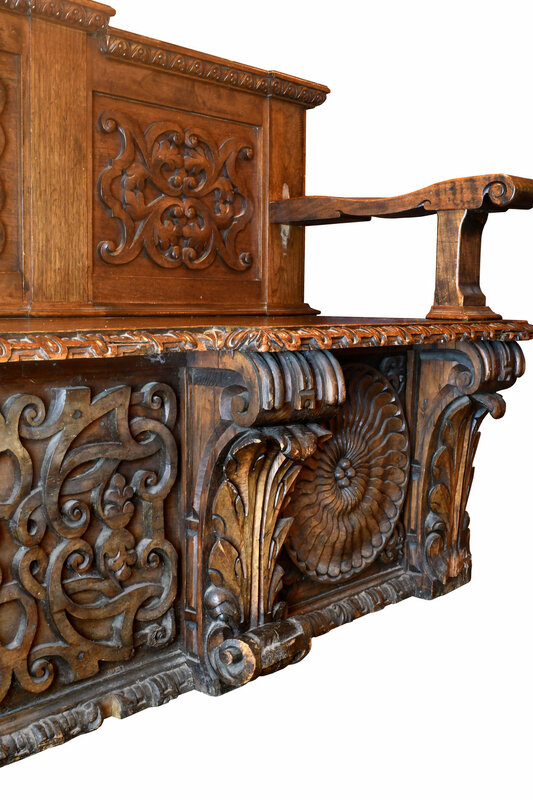 On the bottom half, decorative legs layered with acanthus leaves surround large, scalloped medallions on either side. 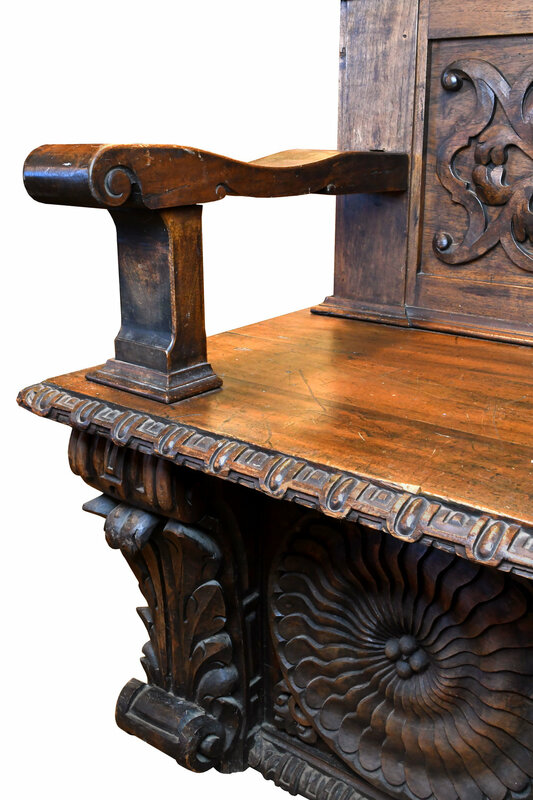 Egg and dart detailing laces its way throughout the bench, adding to the stately, polished look. 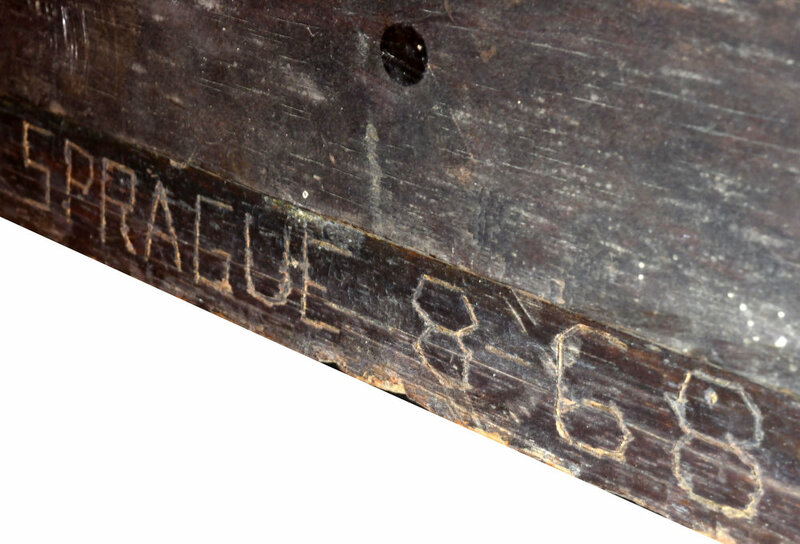 Rumor has it that this gorgeous piece even made its way onto an episode of Antiques Roadshow! Now it's ready for a new home where it will be admired, treasured, and, of course, sat in. Be sure to include the Product ID (47368) when making your offer.